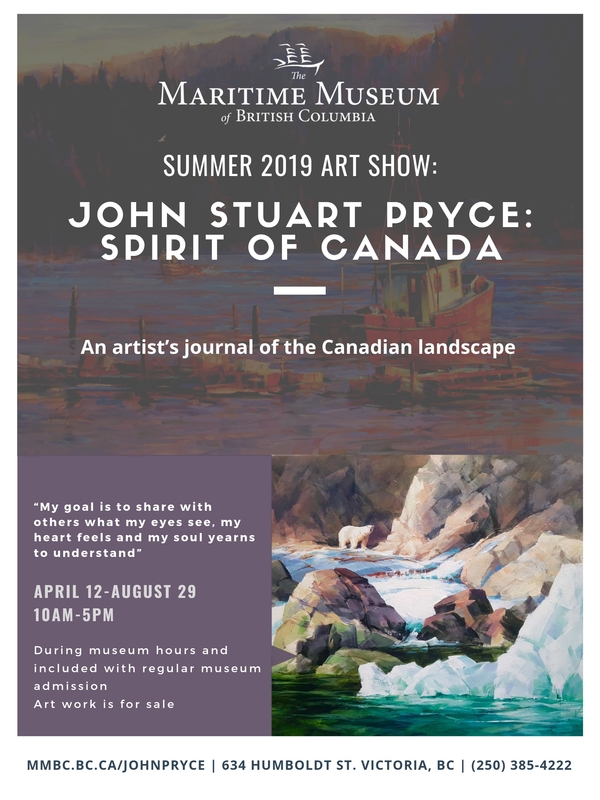 Spirit of Canada is a breathtaking collection of work by John Stuart Pryce, featured at The Maritime Museum of British Columbia. The artist seeks to bring an awareness to the beauty that surrounds us and the environment that we take for granted. This exhibit is open during regular museum hours and is included with admission. For more information, contact the museum at 250-385-4222 or visit www.mmbc.bc.ca.